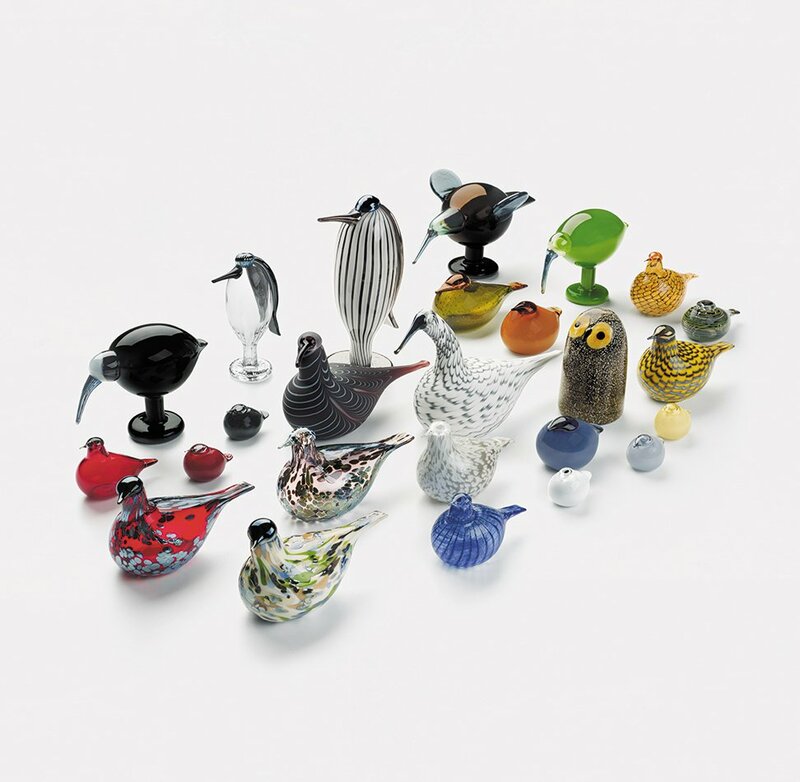 More about Iittala Toikka Reed Warbler Oiva Toikka captures the sparkle of summer with this special seasonal bird. Reed Warbler's reflective flakes not only demand the attention of all who lay eyes on it, but the unmatched skill of the iittala, Finland factory's top glassblowers. Entirely handcrafted, this textured effect picks up the surrounding movement and pigment but tends to favor jewel tones of blue, purple and green. 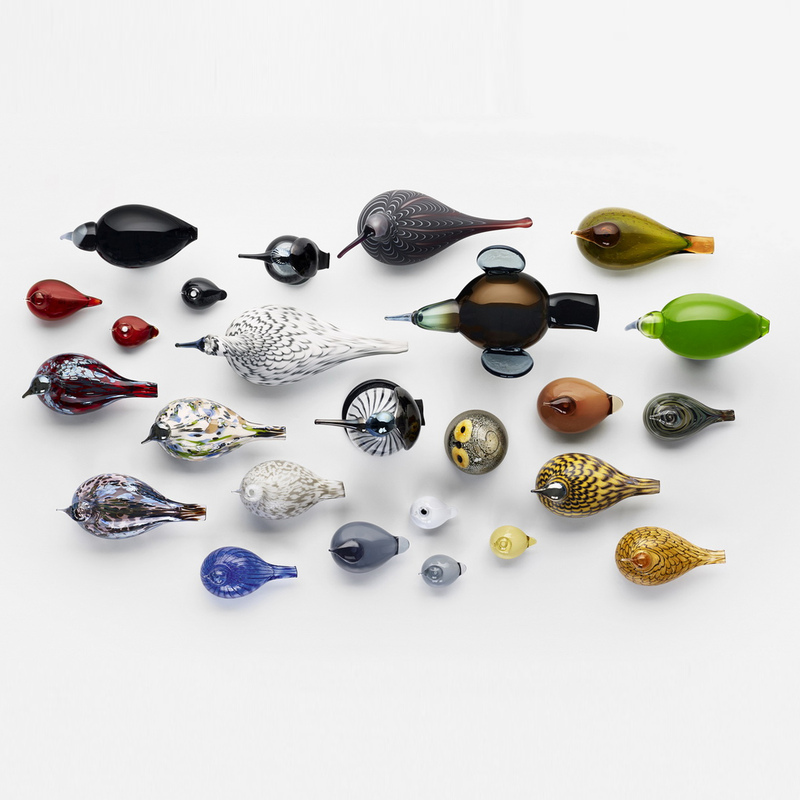 The transparent glass permanently carries an allover pink tint, but depending on its backdrop and lighting, it can vary from a soft lilac to a rich rose; the result resembles a stunning summer sunset.Like its airborne counterpart, Toikka's artistic rendering has a bubbly head and tapered beak. This translucent teardrop shape allows admirers to peer into the stunning glass inner workings of the piece. On the other end of it's smoothly curved body, a paddle-style tail mimics motion as the specks of color become a beautiful, windswept blur. 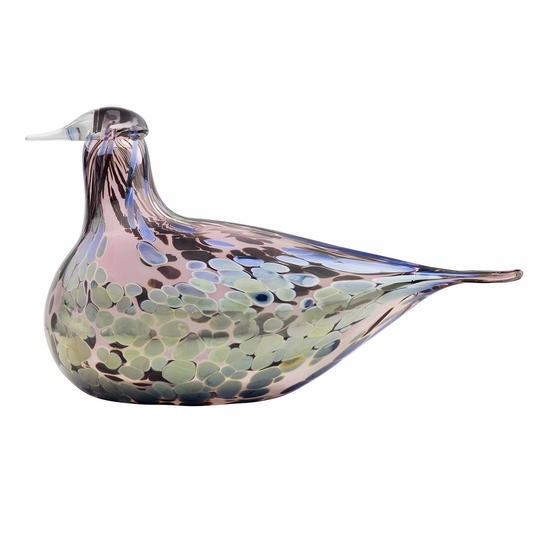 Add this mouth-blown beauty to your growing glass bird collection or delight someone who makes your summer shine; whether gifted or kept, it will forever serve as a reminder of life's beauty no matter the time of year.